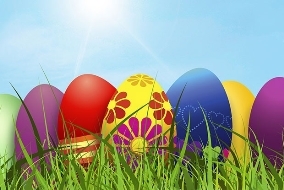 With the four-day Easter bank holiday fast approaching, local doctors have issued some egg-cellent advice to help you to stay well and make sure you have enough medicines to see you through the holiday period. Dr Prag Moodley, local GP and Chair of East and North Hertfordshire Clinical Commissioning Group, said: “If you need urgent medical help when your doctor’s surgery is closed, but it’s not a 999 emergency, call NHS 111, a free service which is open 24 hours a day. “If you take a regular prescription, make sure you don’t get caught out and you have enough to see you through the whole bank holiday. Please order your repeat prescription with your surgery now, so that you don’t run out while your surgery is closed. Remind relatives who are coming to stay to pack their medicines too.